The Washington Wizards once again got beat like a drum. This time, it was the Dallas Mavericks. They manhandled the Wizards by a score of 119-100. Only three Wizards popped up in double figures and the bench only had 26 points throughout the game. Oh, and they also killed them on the boards. With that, here are some takeaways from tonight’s game. This just goes to show that if the Wizards start off slow, it is impossible for them to come back. Sunday’s effort against the Knicks proved to be that the Knicks were just awful and not that the Wizards were good. Washington were poor on defense once again as Dallas had 70 points at halftime. Dallas showed no resistance as they were hitting every shot they took during the first period. Wesley Matthews hit back-to-back three-pointers to start the second quarter and that’s when the onslaught began. Once again, the Wizards had no energy on defense, lacked communication, and got burned as a result. 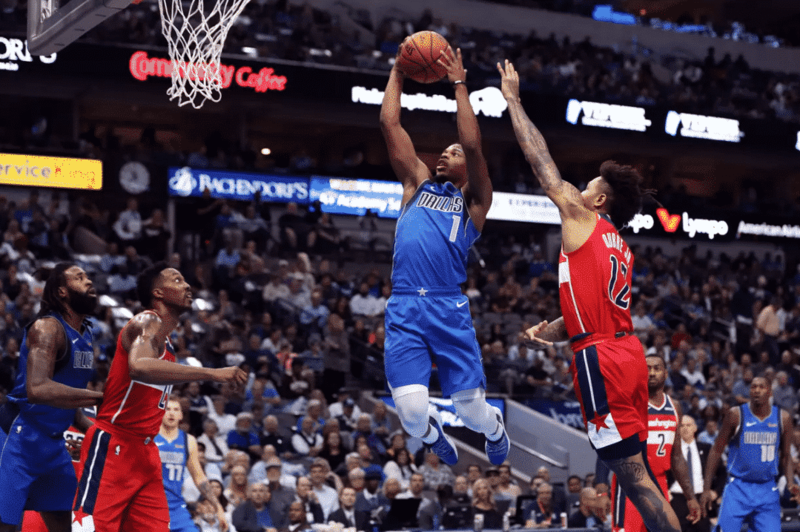 Dallas connected on 13 of their 23 three-pointers (56.5 percent) and shot 50 percent from the field in the first half as the massacre was officially on. Even though the Wizards trimmed the deficit down to six midway through the fourth quarter, it took a lot of energy. A 24-point deficit was just too much for Washington to get out of. Otto Porter is the only exception. He hit 5-6 from three and started to play like the Otto Porter that we need to see more often. But outside of him, the Wizards combined to go just 6-29 (21 percent) from distance. Washington has committed themselves to taking more three-point shots this season, the issue is, they aren’t falling. Markieff Morris did not make a single three-pointer. Neither did Kelly Oubre. John Wall went 2-6 and Bradley Beal went 1-9 on his attempts. Wall notched his first double-double with 24 points and 10 assists. Wall has been trying to score a lot more this season which has led to a decrease in his assist numbers this season. It took Wall a while to get up to 24 points which will lead to an onslaught of slander from analytic nerds and national media. However, Wall did try to get his teammates more involved which was good to see. Washington has a ton of issues that need to get fixed if things are going to turn around and Wall getting his teammates more involved is very high up on that list. Just an ongoing pattern at this point. Dallas outrebounded Washington 49-33 and had four more offensive rebounds. The Mavericks had 12 more defensive rebounds than the Wizards as well. There was one play during the game that summed up the Wizards and their lack of effort on the boards. Harrison Barnes was out of bounds on this possession and despite the fact that there were two Wizards players to one Maverick, Barnes still ended up with the board. The lack of effort from both Dwight Howard and Markieff Morris on that play was inexcusable and that is what has killed this team so far. The Mavericks did turn the ball over on that possession but that shows how gutless the Wizards have been this season.